Well it’s been a bit since I checked in with our faithful blog. This summer was a whirlwind including my 7th Burning Man. Those images have still yet to be posted as life has kept me preoccupied but will be coming later this week! 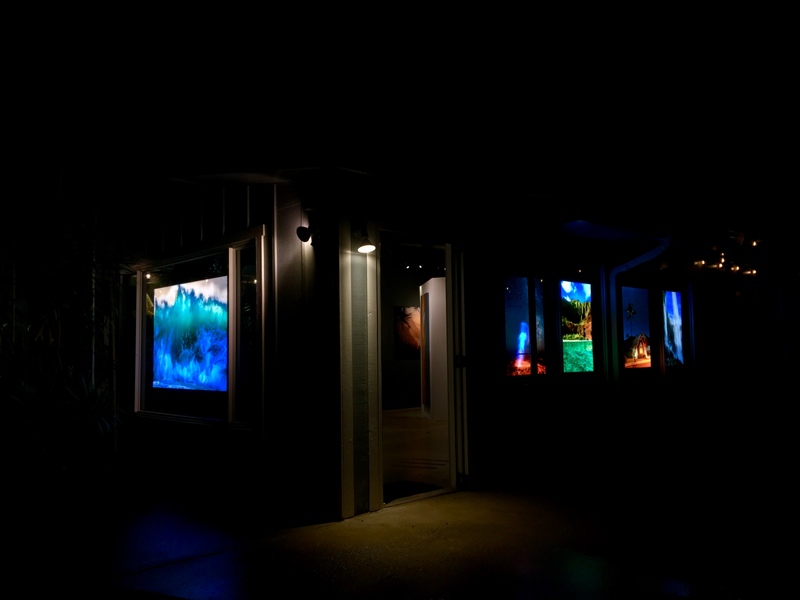 Most importantly aFeinberg Galleries has expanded and we welcome the newest (re)visit to Hanalei! Taking over for Ola’s who was at the Dolphin building for over 35 years this is an exciting space showcasing many never before seen images, including some that will never be made public online. Our Grand Opening will be Friday, Jan 18th starting at 3pm. We welcome you to join us and will be offering a special gift with any new Collection made that day! Look forward to sharing all the new for this new year! Posted in Uncategorized and tagged galllery, grand opening, hanalei, kauai on January 1, 2019 by Aaron Feinberg. We are very excited to release 2 new images from the archives! This was taken at the end of a very long, productive afternoon/evening of shooting. 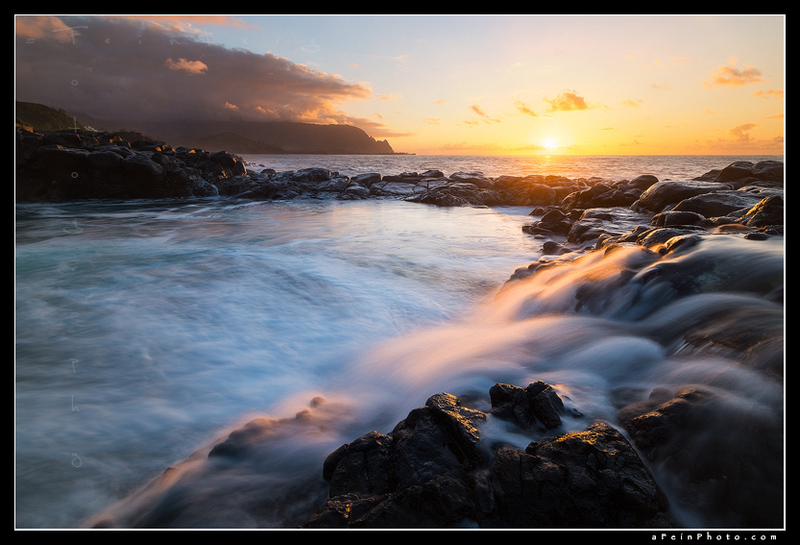 It started with a planned shoot at Ke’e Beach for low tide at sunset to capture reflections of the Na Pali Coast. As the sun eventually set the full moon rose and I captured “Equilibrium”. And then stayed as day turned to night. 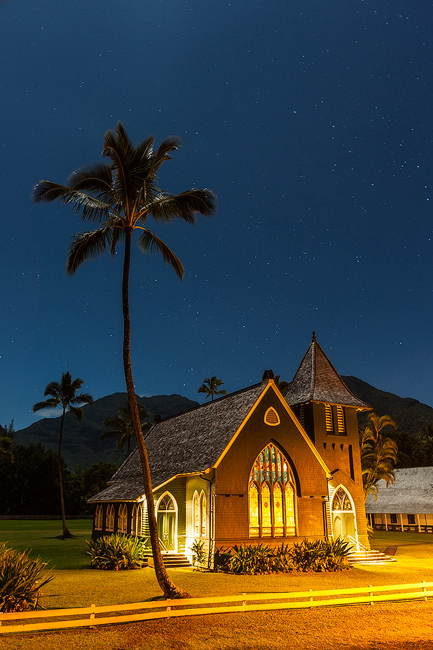 Eventually packing up and heading back toward home (Princeville) I came through Hanalei and the church with the moonlight was awesome. Even being exhausted and hungry I knew I needed to pull over and shoot more. After a number of experiments I settled on this composition taken from across the street standing on top of my car. Well worth the extra hunger. Taken May 2013. Spending waaay too much time at Ke’e Beach trying to catch waves this was just another day on the rocks. With the splashes not aligning I turned to the incoming waves and caught this perfect moment at sunset. Posted in Image Release and tagged hanalei, kauai, release, surf, wave on June 7, 2016 June 23, 2016 by Aaron Feinberg. 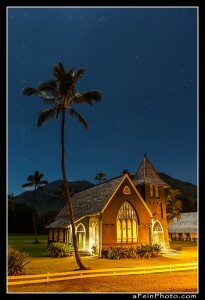 The Wai’oli Hui`ia Church is iconic on Kaua’i. Standing by itself toward the end of Hanalei on the road it’s one of those places that just begs to be photographed. And it gets its fair share. One can usually see people pulled over snapping photos throughout the day. On this particular Friday night in February 2010 I had spent sunset out at Ke’e Beach (see: Sun’s Retreat) catching a very tranquil end of day. Clear, calm. Perfect winter day. On the way back the itch got a hold of me and I pulled over myself to see what I could do in the full moonlight. One of the difficulties of photographing the church is getting a proper angle on it. Because of various obstacles this becomes challenging. Plus now it was night and had to balance all the light sources being throw at me. Recalling correctly I spent the better part of an hour trying all different options. On this particular capture I very well might have been standing on the roof of my car across the street. In the end the mix of moonlight, Church light, star light and street light all combined to make a perfect little scene in Hanalei that night! 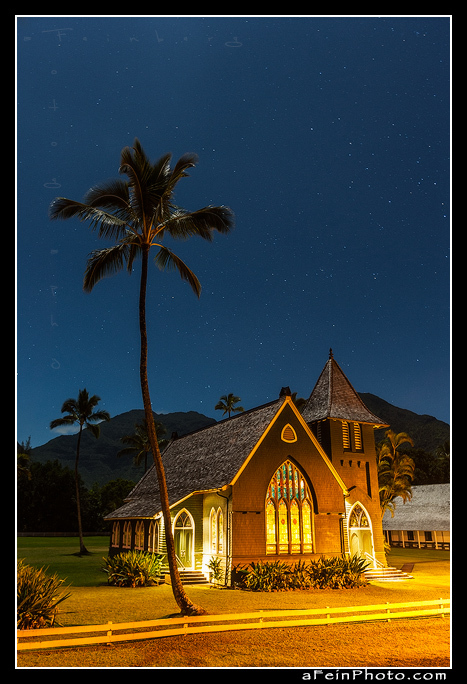 Posted in Image Discussion and tagged hanalei, hawaii, kauai, Wai`oli Hui`ia Church, wai'oli chuch, waioli church on January 12, 2015 January 12, 2015 by Aaron Feinberg. I find it funny for as many times as I’ve been there and photos I’ve taken around it….I have very few of Queens Bath itself. 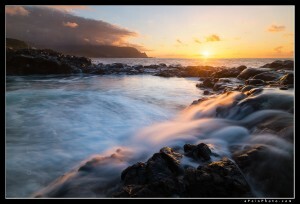 One of my favorite locations on Kaua’i it can be tremendously beautiful, or extremely dangerous (think 30′ waves). On this particular afternoon I was out on a private workshop and were exploring the coast. As we worked our way down and finally got to the Bath itself we noticed that the waves were just big enough to occasionally refill a pool of water up hill, which would then filter down in to the bath. With the sky to the west clear I had the feeling that the light would be perfect to possibly illuminate the pulsing water. The next key factor was, of course, a wave filling the pool above when the sun was in the right position. For anyone that has been around the ocean, shooting or not, it does not always cooperate. 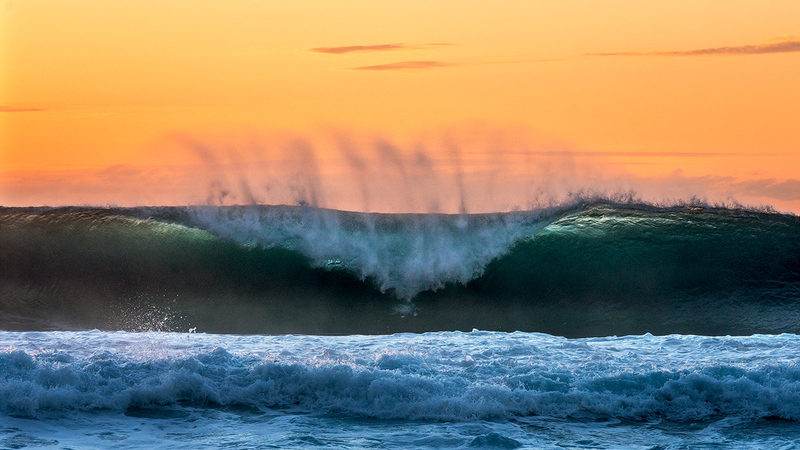 As the sun got lower the client and I were doing our voodoo dance for that one wave….then…”look out!”. The biggest wave of the day came through (not dangerously…just shocking), which caused us to pick up our tripods but woah there was a lot of water! Quickly reset the tripod and started firing off exposures. The light lasted about 5 minutes. We assessed our other photographic possibilities then the victory hike back up to the parking lot. Just another afternoon chasing light (and waves)! Come join Kory Lidstrom and me in March for a 6 Day Workshop on Kaua’i! More info here! Posted in Image Discussion and tagged bali hai, hanalei, kauai, princeville, queens bath, seascape, sunset on September 15, 2014 September 15, 2014 by Aaron Feinberg. After leaving aFeinberg Gallery St. Regis-Princeville yesterday (12/22), I was headed down to Hanalei and the light was just spectacular. I’ve been after a certain shot (this is very close) and managed to pull over and capture a few images of the remarkable scene. 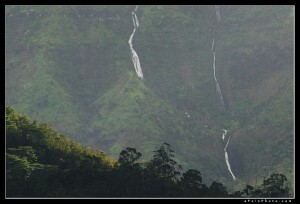 Lucky we live Kaua’i! A 100% resolution crop can be seen below to get an idea of detail. Posted in Image Discussion and tagged hanalei, kauai, namalokama, panorama, waterfall on December 23, 2013 by Aaron Feinberg.